The core craniofacial team consists of Plastic & Craniofacial Surgeon Charles Davis and Neurosurgeon Agadha Wickremesekera in Wellington. Specialist Paediatric Anaesthetists and many other specialists contribute to this primary team as required. Charles and Agadha travel regularly to teach craniofacial surgery in association with Interplast and Rotary. 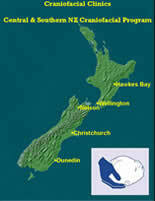 Craniofacial Operations are performed at the Wellington Regional Hospital and craniofacial clinics are held in Hawkes Bay, Wellington, Christchurch and Dunedin. You need a referral from your doctor or Paediatrician to be seen in one of these clinics. Patients may see Mr Davis privately in which case a referral is not required. 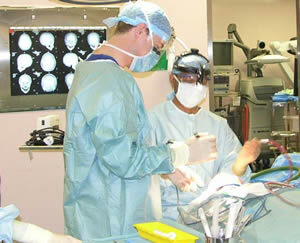 However almost all major craniofacial procedures are performed in the public hospital system. Some patients require assessment by other specialists who work closely with the craniofacial team as required. To view Mr Davis contribution to ongoing craniofacial knowledge please click here.